Barbary fig seed oil didn't seem that different from the rest. Until it left the bottle and absorbed onto my face. But I should have known. Barbary fig seed oil has more vitamin E than argan oil. It is exceptionally rich in linoleic acid, which is extremely hydrating for skin. It also contains a high concentration of betalains, an antioxidant. Its small molecular structure means that it readily absorbs into thirsty skin, without leaving any shine. La Bella Figura claims it aids hyperpigmentation, aging and hormonal skin types. When I applied the oil, the scent is what I noticed first. It smells like olives and peat moss. While it's not tuberose, neroli or jasmine, it's unadultured. And it's potent. It glides onto skin like velvet. The moisturizing effects have longevity, more so than other facial oils I've tried. I've noticed that for proper hydration, fewer drops and reapplications are necessary. 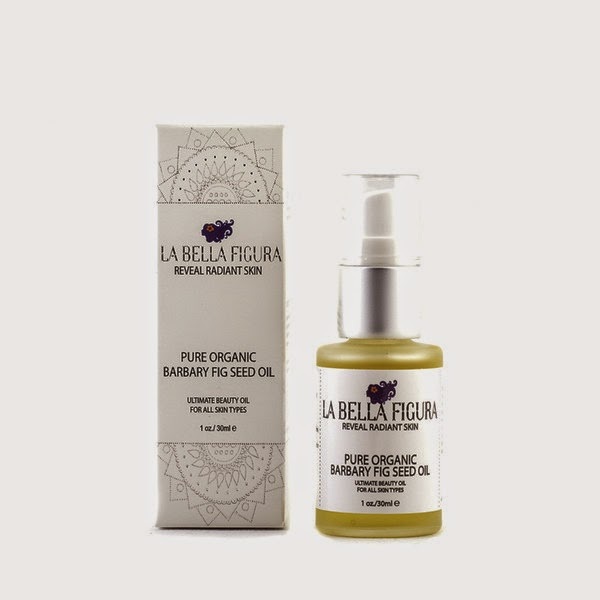 La Bella Figura, the beautiful company that creates this vial of gold, has developed a host of serums, concentrates and masks. All are clean, purposeful formulas. And they just launched a brand new line of makeup! I'm so excited to see them grow. This bottle was my first foray into their line and it definitely won't be the last. Definitely worth a try! It has such a different personality than argan oil. I was surprised. It almost feels like it locks in moisture, like a lotion.